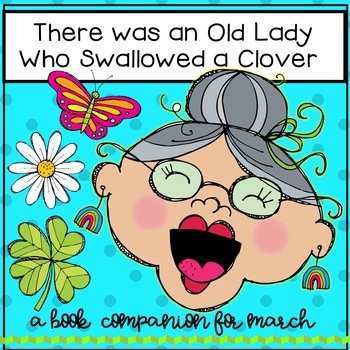 The Old Lady books offer so many literacy opportunities! 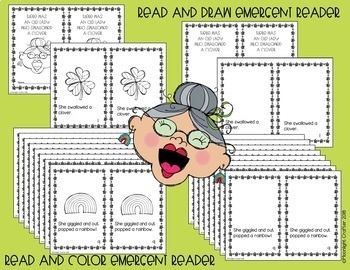 87 Pages of Literacy and Writing Activities!! 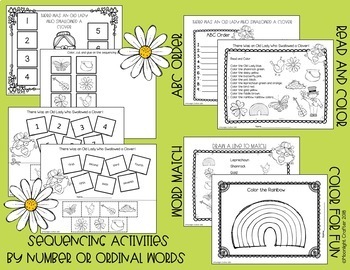 They are my all time favorite books to use for teaching sequencing! The familiarity of the text really is perfect for emerging readers! I love the confidence in their faces when I pull a book that has a familiar pattern! They just "dive into" the material with such confidence!! Perfect for you or a sub tub emergency set of activities! Lots here to spread out over many days!!! 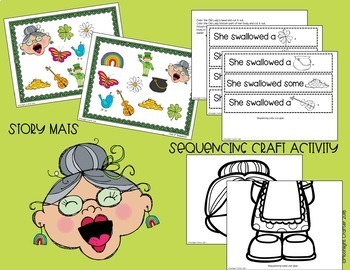 POCKET CHART Pieces with Picture Cards, Word Cards, Ordinal Words Cards and Number Cards: USE THESE FOR RETELLING, SEQUENCING, RECALL AND MEMORY GAME! Some materials may be suitable for pre-k, but not all! It really depends on the level of your class. Check the preview, as it includes pictures of every page in the set! Follow my store for product updates and freebies! !